The DAESSY Folding Mount is a sturdy device support system for attachment to the side of wheelchairs. 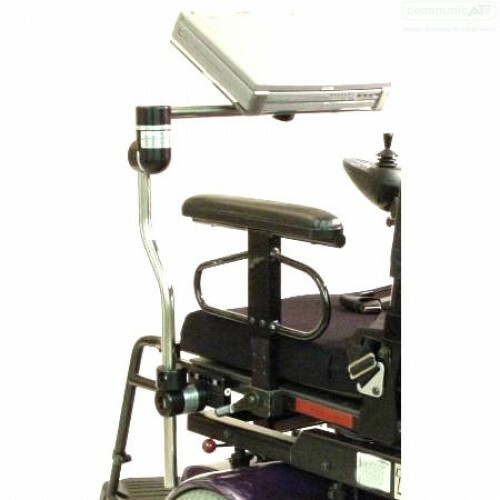 It's unique feature is that the mounted device can be folded to the side of the wheelchair. 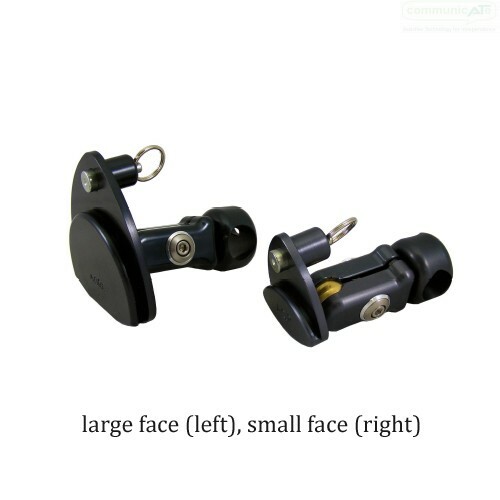 The mount is suitable for light weight through to heavier devices and is designed to last. *Articulating Quick Release Base Upgrade? 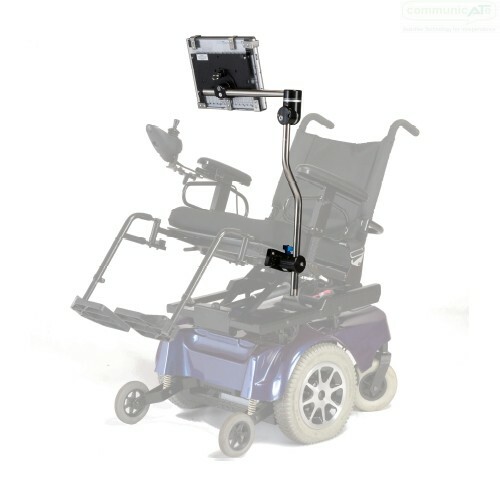 The DAESSY Folding Mount can be folded away and down to the side of the wheelchair. 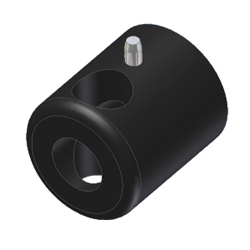 The two tubes of the Mount are connected by a joint that rotates in two planes. This allows the horizontal tube, with the device attached or removed, to be folded to the side. When folded and removed from the wheelchair the Folding Mount forms a more compact structure than the Rigid Mount. 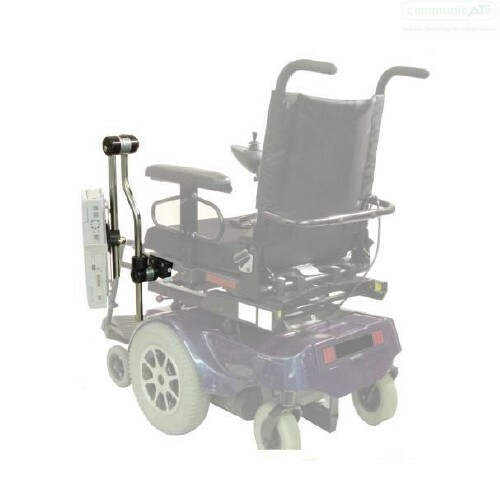 Sometimes the Folded Mount can be folded by the wheelchair occupant although returning the mounted device back to the "in use" position is often very difficult. 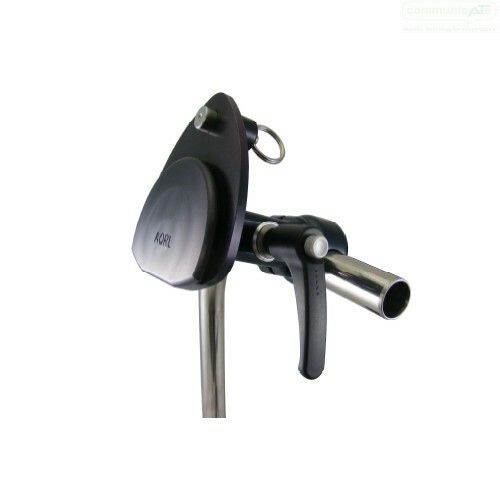 Mainly, the Folding Mount offers convenience for transfers or for line of sight and a compact package for stowing (e.g. in vehicles etc). Quickly and easily removed from the wheelchair. Non-directional. 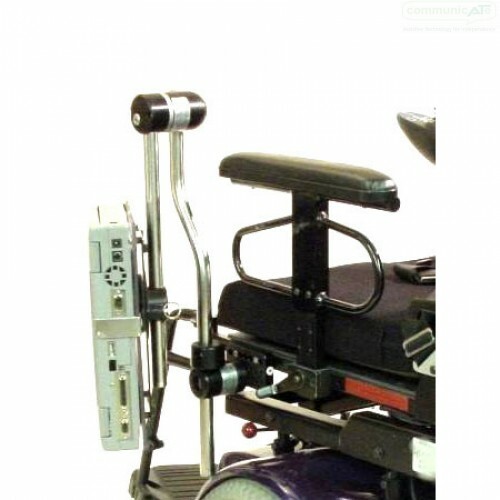 Attaches to either side of the wheelchair with the same components. Folds from in front down to the side of the wheelchair. The DAESSY Folding Mount Removable Outer Piece (ROP) Version is functionally identical to the original DAESSY Folding Mount. The ROP Version allows for attachment to Tilting Seat Systems and installation of the vertical pole beyond 15° from vertical. 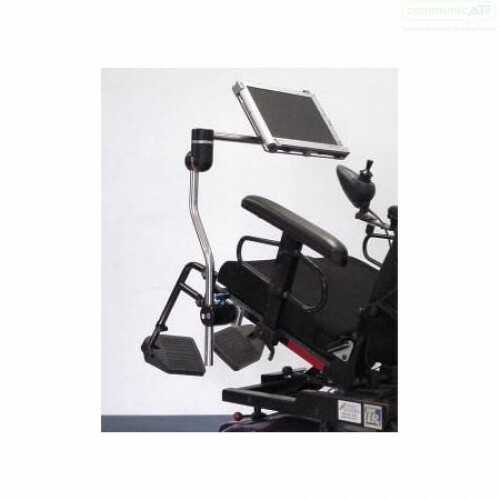 It includes a Removable Outer Piece and Removable Frame Clamp Receiver which allows the Mount assembly to be ‘locked’ in place whilst on the wheelchair. 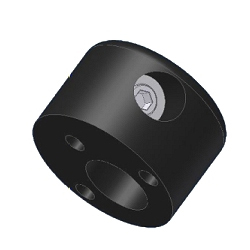 With the ROP version, these two parts are supplied in place of the standard Frame Clamp Outer Piece and Index Clamp. 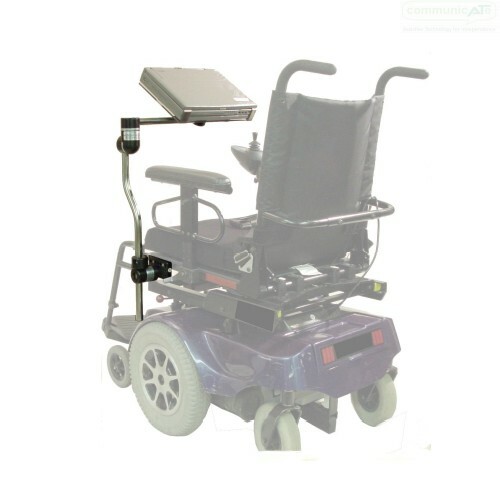 Both options allow the Mount to be quickly removed from the wheelchair, although the ROP version is secure under seat tilt. Locked in place on the wheelchair - simply twist the blue lock until you here it click in place; locked in! Can be positioned in three different aspects - "in use", "egress" and "stowed" but lifting the vertical pole slightly and allowing the mount's own weight to find one of the three positioning aspects. The UFCOP (pictured right) and the Index Clamp on the vertical pole have a pin and hole respectively, which "find" each other when the pole is lifted slightly and rotated. 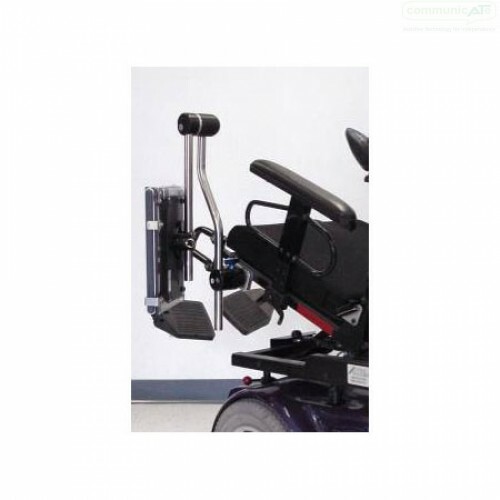 This Mount is non-directional and can be attached to either side of the wheelchair with the same components.